When it comes to investing, returns hinge in part on your tolerance of non-systemic risks. At its core, risk is uncertainty—uncertainty that the investment you make today will pay off tomorrow (or in the next week, year, or decade). Uncertainty that if you swim in faster currents (more volatile investments), you might make it to shore or be swept out to sea. Investment risk is the potential for an expected outcome to be altered by market forces. The extent to which those forces have an impact on your portfolio depends on how much volatility you can psychologically handle—your risk tolerance. Higher returns over the long run necessitate more short-term risk, and, likely, more sleepless nights. Understanding the parameters around investment risk can help ease those concerns and allow for clear, common sense decisions when assembling and maintaining your portfolio. 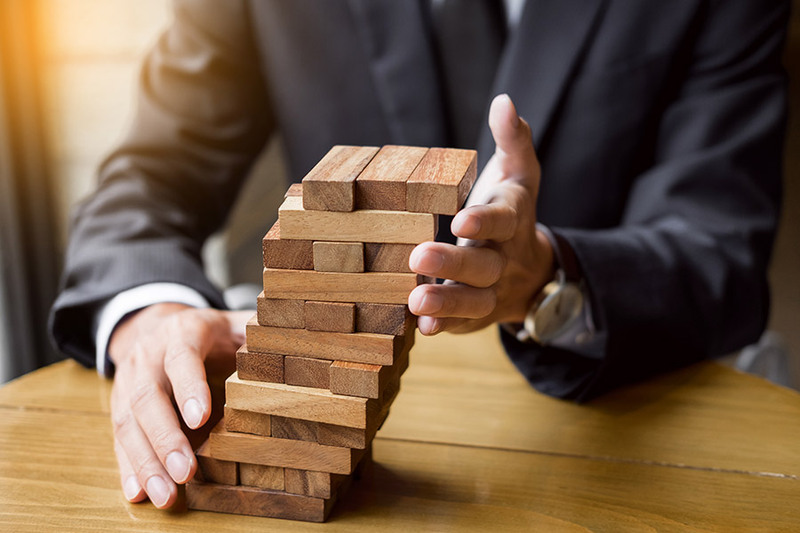 Risk management is the process by which an investor takes on those indicators of uncertainty and subjects them to thorough analysis, either on their own or with the help of a financial professional. Ideally, they then proactively address the problem to meet their investment goals within the confines of their risk tolerance. Examples of this are plentiful throughout the market. A bank runs a check on a customer’s credit before issuing a loan; investors choose low-risk government bonds over higher-yield corporate bonds; a fund manager uses currency derivatives to dilute exposure. Stockbrokers use options and futures, and money managers use portfolio and investment diversification to manage their risk. A metric commonly used to assess risk is known as standard deviation, which measures volatility by examining how much an investment’s returns can stray from its average return. The smaller the deviation, the less volatile the investment. The larger the deviation, the more disperse the returns and greater the risk. This gives investors hard numbers when thinking though risk. It also can provide an indicator of whether they have the capital—and emotional fortitude—to handle it. Failure to properly manage risk can leave investors, corporations, and the economy open to all manner of unpleasant outcomes. One need look no further than 2007’s subprime mortgage crisis that brought on the Great Recession. Lenders allowed borrowers with poor credit access to mortgages, firms scooped them up and repackaged them as mortgage-backed securities (and reaped tremendous profits), and the economy went belly-up. The vast majority of industry professionals agree that a diverse portfolio is a vital tool to yield returns and protect against risk. It keeps that one bad apple from spoiling the entire barrel. Except when it doesn’t. There are two kinds of risk, one of which is helped tremendously by diversification, and one which is immune to it. Systemic Risk: This form of risk comes with the territory of investment, no matter what’s in your portfolio. No amount of diversification can sweep it away. A familiar acronym that nicely summarizes the varieties of systemic risk is PRIME (purchasing-power risk, reinvestment risk, interest-rate risk, market risk and exchange-rate risk). These risks are inherent in the investment system itself. Nonsystemic Risk: Here is where a diversified portfolio can make a difference. It mitigates risk associated with specific investment choices (ratio of stocks to bonds, etc.) Financial vehicles that have varying rates of return and direction allow your portfolio to handle one or more type of asset declining at any given time. Risk and return are the conjoined twins of the financial world—inseparable. Whenever a potential investment holds the promise of return, risk is right there at its side. As such, it behooves you to be honest with yourself about your financial goals and values. Then make a plan based on how much risk you’re willing to accept. Be clear about where you see yourself in 10 years and make an investment plan that can support you on that journey.